Happy New Year! 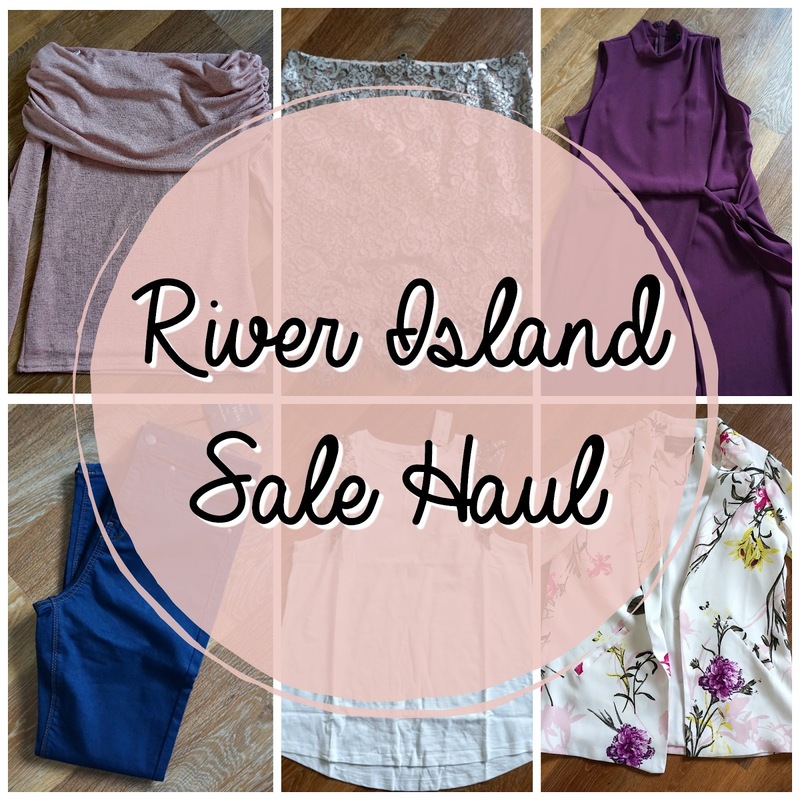 I would just like to start this River Island Sale Haul, my first post of 2018 by saying this is probably the biggest River Island order that I've ever made in my life and I'm aware that it is slightly excessive but I couldn't resist. I just so happened to stumble on the River Island website on Christmas Eve Eve when their up to 60% off sale started. I had a new found love for River Island after my Christmas Night Out and I somehow ended up with a jam packed basket of everything from casual tops to going out clothes. I don't think I'll be keeping everything as some of the sizes are a little off but I'm happy with the majority. My huge parcel arrived on the 29th of December which is pretty impressive over the festive season - good work River Island. This lace mini skirt is absolutely gorgeous. It's one of my favourite styles for wearing either day to day or for a night out and it's a little bit different from any of the others that I own. I didn't want to miss out on this bargain by ordering the wrong size so I bought it in 2 sizes and I'll return whichever one doesn't fit. I think there will be an outfit post wearing this in the very near future. This Burgundy/purple dress is quite sophisticated and reminded me of the pink midi dress from my Last Minute Christmas Dresses post. £20 for a dress of this quality is really impressive and I'm hoping that the midi length won't be too long for me. The wrap style is really flattering around the waist too. How many times do your friends say they're going to be wearing jeans and nice top to social events? These are both definitely nice tops. The embellishment on the first one is beautiful. Unfortunately the material is a little rough so I'm not 100% set on it just yet and the flare of the sleeves might be just a little too much. However, I like that they've both got a cami top underneath so you don't have to worry about what to wear under it. I've got a black top similar to the sleeveless lace top from New Look and it's a really flattering fit so I'm hopeful that this one will be too. I love this shade of green and the lace is nice and soft. I can see me wearing this with leather look jeans. Unplanned nights out sorted! Both of these clothing pieces are a little out of season, the blazer more than the top. However it won't be long until Spring time when I can wear the blazer with a cami and jeans. The floral print is gorgeous and the colours are so bright and vibrant. I've got a couple of River Island blazers and they're such good quality. I'm happy with this little bargain. The floral print top is a little bit more suitable for the winter because it's black and the ditsy floral print is so small. It's maybe a little too thin for some of the temperatures we've been seeing recently though. I'm not 100% keen on this dress now that it's arrived but it might look different on. The material is a little stiff and the front and back look a little low. I did have visions of me wearing this with tights, Chelsea boots and a leather jacket so fingers crossed. River Island jeans are such a good fit for me because they come in short lengths. I would happily have all my jeans from River Island but I just can't afford it so a pair of dark blue jeans on sale is a winner. These Molly Jeans are high waisted too which is one of my favourite fits. How cute are those sleeves?! I'm a little magpie and can't resist a bit of sparkle. Sequins and frills have transformed this boring white tank top into a girly little statement. Perfect for wearing with a pair of jeans and boots then flip flops in the summer. Love it! I'm really impressed by this bardot jumper, it's so soft and lightweight, the colour is really versatile for through the seasons. Simple, stylish and flattering. A good discount too. Last but not least two of the more boring but simple and essential items for my wardrobe - long sleeve black tops. Both had a really good discount and are a little bit more interesting than a plain black top. The frills are quite feminine and if you couldn't already tell I like the one shoulder/off the shoulder look. The second top is one of the softest tops I've ever felt!